70000: Staines-Redhill, Tonbridge-S Bromley-London Victoria. Hackhurst, near Gomshall; Grosvenor Bridge, London. 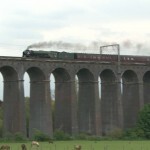 60163: Victoria-Peterborough-Durham. Grosvenor Bridge, London; Welwyn; Burton-le-Coggles, near the top of Stoke Bank; Weston, near Newark; Bawtry; Bradbury, near Sedgefield. 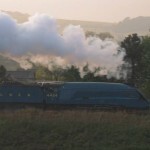 4464: Durham-Perth. 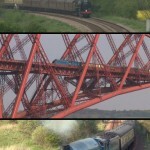 Berwick-on-Tweed; Burnmouth; North Queensferry; Hilton Junction, near Perth. 61994: Thornton Junction-Aviemore-Inverness (light engine). Guay, near Dunkeld; Dalnamein Lodge, Glen Garry. 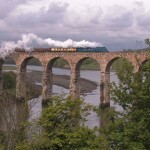 60163: Perth-Inverness. Glen Garry: Dalnacardoch, Dalnaspidal; Dalwhinnie; Kingussie; Slochd; Moy; Inverness. 61994: Inverness-Kyle of Lochalsh & return. Fodderty; Loch Achanalt; Loch Gowan; Glen Carron; Loch Sgamhain; Rogie. 61994: Inverness-Aviemore-Thornton Junction (light engine). Culloden Moor; Findhorn Viaduct, Tomatin; Kingussie; Loch Insh, Kincraig. 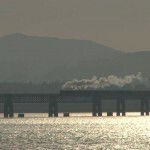 60163: Inverness-Aberdeen-Dundee-Edinburgh. Milburn Yard, Inverness; Alves, near Forres; Gartley; Kennethmont; Tay Bridge from Newport-on-Tay; Forth Bridge from Queensferry. 4464: Edinburgh-Stirling-Edinburgh. Forth Bridge from North Queensferry; Lumphinnans, near Cowdenbeath; Culross; Kincardine; Linlithgow. 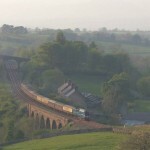 4464: Edinburgh-Carlisle-Settle-Hellifield. 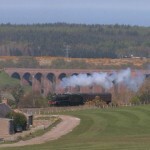 Linhouse Glen Viaduct, near Livingstone; Carstairs; Lamington; Lockerbie; Crosby Garrett. 6201: Hellifield-Chesterfield-Melton Mowbray-Luton-Victoria. 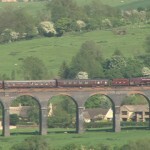 Hellifield; Welland Viaduct, Harringworth.